COMPARED TO EARLIER OR LATER SESSIONS, 1884 was a placid session. Prime Minister John A. Macdonald was in firm control of Parliament, at work with a huge majority of 68 members in the 210 seat House of Commons. By contrast, the Liberal opposition lay in shambles. Alexander Mackenzie was by then but a quiet, elderly backbencher, the member for York East. His health was failing and the leadership of the opposition fell again to Edward Blake. Ottawa was reeling from its heaviest snowfall in years. The House was proceeding peacefully towards its habitual April prorogation when a Conservative member moved for the incorporation of the Loyal Orange Association of British America. Prime Minister Macdonald had himself been a member of the Protestant order since 1844, an ostensibly religious and benevolent organization based on secret Masonic-like rituals. Macdonald, in close alliance with Quebec Roman Catholic Conservatives, essential to his continued political success, quietly ensured that this was a private member's bill. Second Reading came on March 17, 1884. 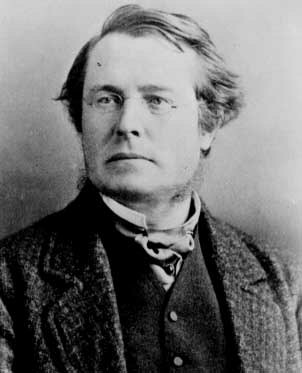 Hector Cameron, the member for Victoria North, Ontario, down-played his bill, hoping to reverse the negative vote given to a similar bill proposed in 1883. He explained how the preamble had been altered to appease the objections voiced the year before and added that: "My friends are quite willing that there should be no further discussion of the subject." Edward Blake was not impressed. Nor was Malcolm C. Cameron, the member for Huron South rose to begin the attack. He ridiculed the contention that the Orange Order was not a political organization, citing speeches and writings of the order into the record of Hansard. He read lodge resolutions showing the expulsion from the Order of members for offenses such as "taking his child to a Roman Catholic school; marrying a Roman Catholic; for being drunk and using a knife on a Protestant." "Had he used it on a Catholic," he added, "it would not have mattered?!" Radicals could not be Orangemen, and no Grit would for one moment think of taking the Orange obligation. But times have changed. A meeting can hardly be convened in Toronto, of Orangeman, but Satanic Grits are stationed in different parts of the hall, impudently wearing our colours, and watching with an eagle's eye catching every word that may drop from the lips of the brethren, to convey them to the enemies of our order. We are glad to see that several lodges are taking steps in the right direction, in order to leave the Grits, like their old friend Judas, in their own places, and outside the portals of any society which calls itself loyal. Conservative Protestant members stammered and stuttered but they could ill refute the charges. Even Macdonald kept silence throughout the entire evening debate. But nobody thought for a minute that the distinguished Edward Blake, leader of the Liberal Party (pictured), and himself a Protestant, would dare to entertain the diatribe upon which he then embarked. Sincere or not, this speech would come with a definite and heavy political price tag. EDWARD BLAKE - Leader of the Opposition (Durham West): Upon this question, parties are divided. It is well known that the ranks of hon. gentlemen opposite are divided, and it is known that the Liberal party does not think, or speak, or act as a unit on this question. I am not speaking, I do not propose to speak this evening, in any shape or sense in the capacity which I, for the time being, hold as leader of the Liberal party, but to speak only in my individual capacity as a member of Parliament. I feel bound to express my views upon the bill before the House. I am opposed to state recognition of secret oath-bound societies. I believe the tendency of secrecy itself to be injurious. I believe that it brings with it the possibility of evil. I believe that it involves a certain amount of sacrifice of individuality and independence and gives very great facilities for the misleading of members by designing leaders. I maintain that secrecy is in itself a bad thing. If societies are beneficial, they are beneficial in spite of, and not because of, this element of secrecy. The difficulty as to state recognition is this - you cannot determine how far, being secret, it may depart from its professed and avowed objects; how far, being secret, it may go; in what direction it may travel. You cannot tell what sort of tyranny may not be exercised by them. It is in the nature of these societies to become tyrannical and despotic. Openness and public discussion are the great guarantees of order, freedom, fairness and moderation. It is in private gatherings of men all of one turn, all of one thought, all of one opinion, that bitterness and misrepresentation and malignity revel and hold high carnival. The order is political in Ontario. Do I object? Not at all. I approve of political organizations. But I do not believe in secret political organizations, or in political organizations, political or otherwise, which act under the guise of religion and philanthropy. No greater calamity can befall a community than when the cleavage of political parties is coincident with the cleavage of religious bodies. Our political differences are bitter enough, without introducing into them religious differences. If the odium theologicum, known to be so bitter, is to be accentuated by political differences, it will become intolerable. This society which, under the guise of religion and benevolence, is in Ontario largely and chiefly political in its power and efficacy, is doing this very thing, which I believe to be for the public evil and not for the public good. I know that I shall be misrepresented and misunderstood, and that men will be misled, in my province and elsewhere, as to what I have said tonight. I cannot help it. I felt it borne in upon me as a duty to say it; I had to say it. Men will be misled by designing politicians, who are using the cloak of religion and the cloak of charity to promote party politics. But today what are you doing? You are promoting these calumnies in reference to another church. You are coming forward and declaring untruly, as I believe, that the tenets of that church, from which you differ are in these respects detestable, and that every true Protestant must take the same position. It is a course of which I hope you will repent before you are many years older. I do not believe the cause of Protestantism, of true religion, the advancement of the Gospel, the peace and prosperity, the welfare and the good government of the Dominion will be promoted by state recognition of this secret society, organized and led as it is, in Ontario, and devoted to the propagation of views such as those which I have exposed. I dare say that I shall be more bitterly misrepresented than ever by the Orange Tory leaders. And as to the Tory Roman Catholic leaders, they, too, the temporary struggle between them and their Orange allies being ended, and the alliance revived, will regard me all the more distastefully because I have necessarily shown either how sham their battle is or how false and unnatural is their conjunction. But I have this satisfaction: that I have told plainly the truth as I believe it. We must cultivate moderation and forbearance. We must avoid misrepresentation, calumny and abuse. We must hold to the ample acknowledgment of each man's individual rights of conscience in religious matters, and of the common citizenship of all civil matters, if we would make of Canada a great and free country, inhabited by a happy and united people. It was a long speech, typical of Blake. In the end, the sponsors of the bill could do little to stop the final outcome of the vote. Later that night, the Speaker counted 105 to 68 against, allowing the bill to incorporate the Orange Order. Macdonald voted in favour of the bill. Blake was joined by Macdonald's Quebec lieutenant, Hector-Louis Langevin in rejecting the bill. But the real fallout came during the next election campaign. The Prime Minister counted in his cabinet Mackenzie Bowell, the Orange Grand Master. Macdonald managed his coalition through his Quebec lieutenant Hector-Louis Langevin which gave the Tories access to the Quebec vote. In contrast, with close to 300,000 voting Orangemen in Canada in 1884, Blake had seriously compromised his party's political chances. Sir Richard Cartwright was second in command of the Liberal party in 1884. Even he had not been informed ahead of time of Blake's speech in the House. He later stated in Reminiscences that "up to that time, the Orangemen had fluctuated a good deal between the two parties. From that day to this, it is safe to say that the Orange Order has been the backbone and mainstay of the Conservative Party in Ontario." Three months later, Louis Riel's return to the North West would again cause great consternation in the young nation. Blake's comments prevented the Orange body from supporting the Liberal party in the 1887 election; which, surmised Cartwright, "they would otherwise have been much disposed to do." Blake stepped down as national leader of the Liberal party that same year.